This summer Canadians experienced disaster — Lac-Mégantic and floods in southern Alberta. Presbyterians have responded in solidarity, extending their support to those affected. Beyond our borders, India is also experiencing disaster and tragedy. 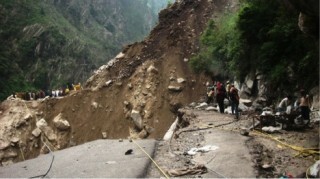 Torrential downpours, swirling flood waters and subsequent landslides between June 16 and 17, have caused a disaster of unprecedented proportions in India’s Uttarakhand state. More than 5,700 people are missing and presumed dead, while over 100,000 people trapped in areas cut off by flood waters have been evacuated or rescued. The heavy downpours pushed the Mandakini River—once a lifeline for the surrounding villages—beyond its banks, flooding more than 200 villages. The National Disaster Management Authority reports that conditions in the area were equivalent to a “tsunami-like situation”. As flood waters recede, signs of Uttarakhand’s worst natural disaster in 60 years are emerging. There is extensive damage to infrastructure like roads, bridges and agriculture land. For many people, the flooding has taken away their homes and livelihoods, as well as cherished family members. More than a month after the disaster created havoc, many people await assistance to rebuild their lives. “My house has been washed away in the flood, even the field got damaged. Somehow I managed to save my life and my children,” said Saraswati, recalling the moment she saw her house engulfed by the huge waves. Now her family is living at a temporary relief camp in a primary school. Presbyterian World Service & Development is responding to this disaster through ACT Alliance. Five thousand vulnerable families are receiving food items such as rice, wheat flour, lentils, soybeans and salt. Because so many people are without shelter and basic household items, families are also being provided blankets, candles, utensils, medical supplies and temporary shelter kits. PWS&D is asking Presbyterians to once again respond compassionately to those in need. 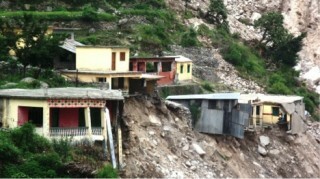 Please pray for families affected by the floods and landslides. By making a donation to PWS&D, you can ensure families receive the support they urgently need. A gift of $60 can provide one family with an emergency food package and a temporary shelter kit. * File photos courtesy of ACT Alliance.